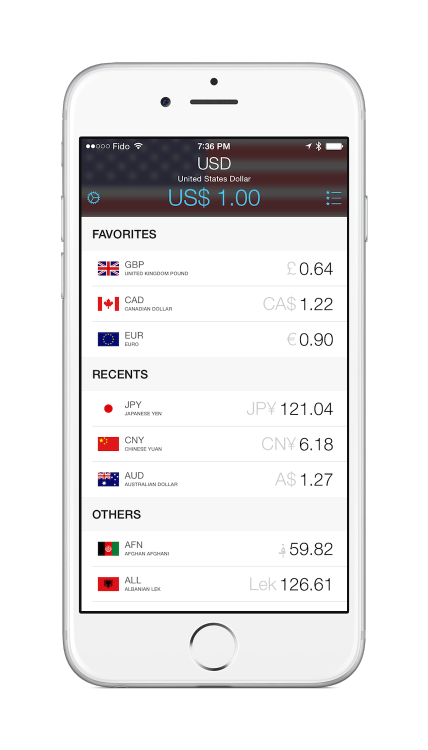 We’re thrilled to announce the release of Currencies 2, our famous currency converter. When the Apple Watch was announced last fall, we of course wanted to develop something for it, but what? Currencies was the answer. It’s a pretty straight forward app (not so much anymore, with all the extensions and other things that comes with an iOS app nowadays) but it was an ideal project to conduct in order to see what could be done with the first implementation of WatchKit. 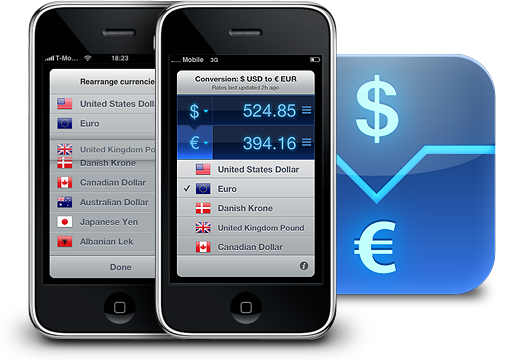 Originally developed in 2009 with the help of Sebastiaan de With, Currencies was a big success but was retired in 2012 soon after the iPhone 5 release. So on March 4, 2015, we went Hollywood style, ⌘N was hit in Xcode and the project was rebooted. Of course, that meant that we also had to develop a new iPhone version as well as its design and features were a bit outdated. This is where it gets more interesting. At first, we struggled with how users should interact with the app. Initially, we thought that the best option would be to add a numeric keypad but Apple reminds us to not just emulate an iOS apps but come up with innovative ways to interact with Apple Watch. 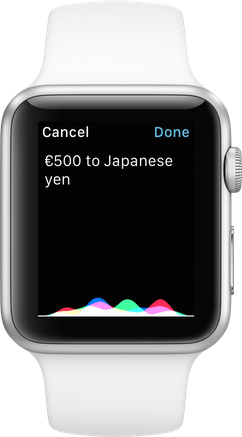 So with that in mind, Currencies totally embraces dictation on Apple Watch. “China” and Currencies will automatically select Chinese Yuan as the source currency! 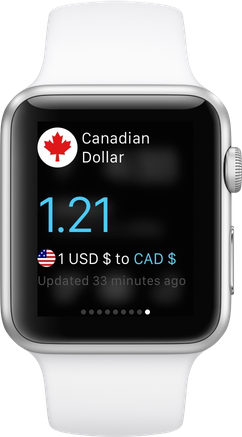 Currencies is pretty versatile with dictation and it won’t take you long to figure out what it can do! 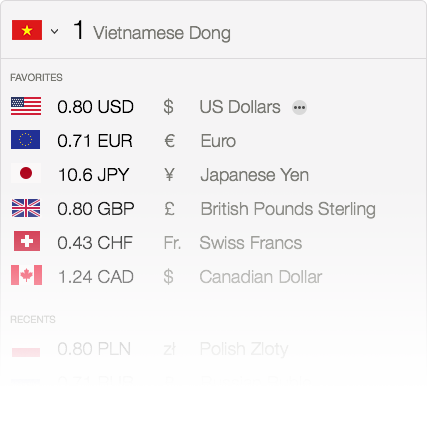 Of course, the app also lets you interact with good-old buttons to select the source and destination currencies if you prefer and offers you a list of recently used amounts as well. 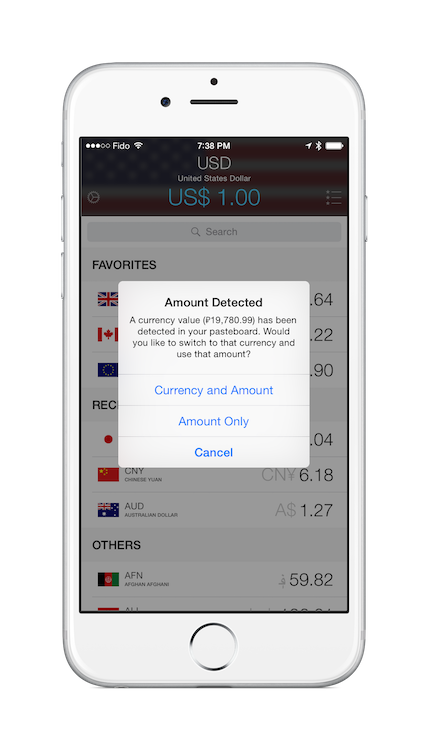 The app also includes a Glance that will let you know about the latest rate for the last selected currencies or the user currency and local currency if he or she lets Currencies track the location of the device. This is particularly useful when you’re traveling in another country that uses a different currency. It gives you an idea of what you’re spending in real-time. We’re currently working on a new OS X version as well, which should be available this summer. Again, this will be a complete makeover of the current app. Think of it as the Spotlight of currency conversions! 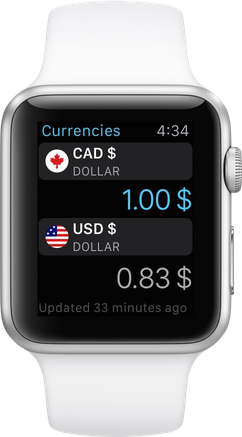 Currencies is available now as a free update for current users or for US$3.99 on the App Store. For now, only english is supported but we plan to add more language in future updates.